Protect your home by inspecting and treating regularly. Termites, also called white ants in some parts, can be extremely problematic and if left untreated, can create lots of unnecessary headaches. For one, termites eat wood and have been known to turn parts of homes into sawdust before the homeowner realizes what is happening. Remember, the best time for a termite inspection is today. That way, if termites are found in or around your home, a solution can be explored and carried out before it gets worse. Termites are attracted to The Sunshine Coast for the same reasons that we are: warm temperatures and lots of resources. Radar Pest Control is the premium termite control and treatment company in the area and only uses safe products that are non-toxic to you and your pets. We put the emphasis on making sure you’re taken care of quickly and efficiently so you don’t have to deal with termites any longer. The best way to protect your property and manage termites is by regular termite inspections and barrier system in your home or business, especially if you suspect it is at risk of having termites. Imagine putting your home up for sale and finding that there is termite damage that needs to be repaired. Not only will you have to pay for the materials and labor, but you’ll then have to pay for a termite treatment, all the while losing a percentage of your home’s value. This has devastated more than a few homeowners! Don’t be the next victim of termite infestations – have Radar Pest Control to your home for a professional termite inspection in sunshine coast. That way you won’t have to worry about the value of your home lowering in the future. What Happens if I see Termites? Many people will see signs of termites or the insects themselves and try to get rid of them on their own. Do not do this! Don’t spray or stir up the area- this may cause them to abandon that specific part of your home in favor of another, causing unnecessary damage. This will also damage your wallet! When you see mud tubes or other signs of termites, call a Radar Pest Control professional to take a look at it and give you the different treatment options. We’ve spoken with homeowners who have battled these sneaky insects and forked over lots of cash only to realize that what they actually needed was professional help. The ultimate way to monitor and check for termites is through a professional termite inspection, but there are a few things you can do around your home to keep your property from looking so tantalizing to them in the first place. First of all, remove any timbers from the sides of your home. These are like candy to termites and could lead them right to your house. Remove tree stumps and any moist wood from the property. 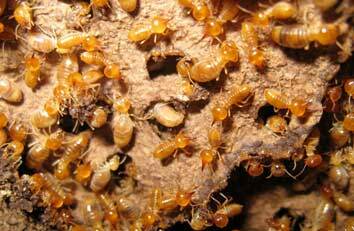 Termites love to have adequate moisture, so fix any leaky pipes that might get into the soil and attract white ants. Keep mulch use to a minimum, especially right up close to the house. These are a few simple things, but many people don’t even bother to do the obvious tasks to avoid termites in the first place. At Radar Pest Control, we are licensed in pest control and have the training, experience and equipment to detect, treat, and prevent termites. 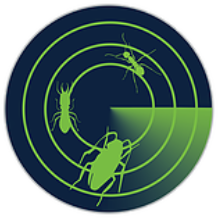 We use a radar detection tool called Termatrac technology and other non-invasive techniques to provide you with the most thorough termite inspection. This allows us to detect termites effectively and minimize any damage to your property. After the initial termite inspection, Radar will provide you a personalised management plan to suit your property and discuss options that fit within your budget. Following our management plan will provide the best treatment and get rid of your termite pests. See more about our best Termite Treatment here. Protect your property from termite damage and gain professional advice today by contacting Radar Pest Control, email info@radarpestcontrol.com.au or call 0401 166 155.